With extraordinary access to the Trump White House, Michael Wolff tells the inside story of the most controversial presidency of our time. The first nine months of Donald Trump's term were stormy, outrageous - and absolutely mesmerising. Now, thanks to his deep access to the West Wing, bestselling author Michael Wolff tells the riveting story of how Trump launched a tenure as volatile and fiery as the man himself. - What President Trump's staff really thinks of him- What inspired Trump to claim he was wire-tapped by President Obama- Why FBI director James Comey was really fired- Why chief strategist Steve Bannon and Trump's son-in-law Jared Kushner couldn't be in the same room- Who is really directing the Trump administration's strategy in the wake of Bannon's firing- What the secret to communicating with Trump is- What the Trump administration has in common with the movie The ProducersNever before has a presidency so divided the American people. 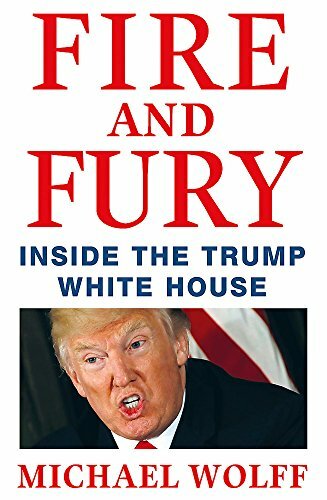 Brilliantly reported and astoundingly fresh, Michael Wolff's Fire and Fury shows us how and why Donald Trump has become the king of discord and disunion.